Since 2014 they have been the Spring Quartet. In bubbling torrents of unbounded collaboration, never about ego, always about creation in the moment, the quartet has been as clear an example as there is in jazz of what the Boston Globe characterized as a “supergroup that adds up to more than the sum of its chops.”And what chops! Jack DeJohnette has for 50 years been one of the most vaunted of all jazz drummers, a mighty machine of percussion whether at full force or a whisper. A recipient of the highest honor the nation bestows on jazz performers, the NEA Jazz Masters Award, he has been there for some of the key moments in jazz and jazz fusion. His key collaborations have included early ones with Miles Davis and Charles Lloyd before his own Special Edition emerged as a highly distinctive acoustic-meets-electric band. Of course, DeJohnette’s most high-profile role in recent decades has been as the drummer, for more than 35 years, in pianist Keith Jarrett’s luminescent Standards Trio. 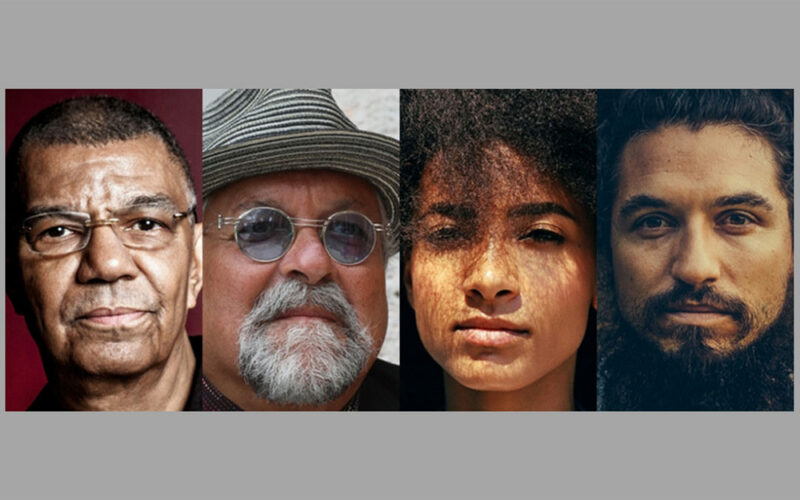 In bassist Esperanza Spalding and pianist Leo Genovese, the veterans DeJohnette and Lovano have found two leaders of a new generation. Spalding’s history with Lovano includes her membership of his two-drummer Us Five group, which took DownBeat’s 2010 critics award for best jazz group. Also a vocalist, the singing, ecstatic quality of Spalding’s playing is reinforced by her visible elation as she performs. Deft and incisive as well as strikingly responsive to bandmates, and naturally intuitive, she has emerged as one of the most accomplished of modern bassists. That status was confirmed by her 2011 Grammy Award for best new artist, and the rapid ascent of her 2012 CD Radio Music Society to Billboard’s Top 10 album chart. Argentinean pianist Leo Genovese, a now-longtime Spalding collaborator, is the perfect foil for the Spring Quartet. A true pianist’s pianist, he achieves effects and takes extraordinary paths at his multi-keyboard array that mess with your mind in all the best ways of jazz. You could say, to use another jazz-journalism cliché, that Genovese is “on the rise,” but his riveting contributions are never about reputation, always about creation in the moment—he is ever intent upon contributing from deep in the jazz, and in the process he soars aloft. Tickets range from $42.50-62.50 (plus fees). Tickets and information available at stgpresents.org.